Latvians are among the last people to convert to Christianity. 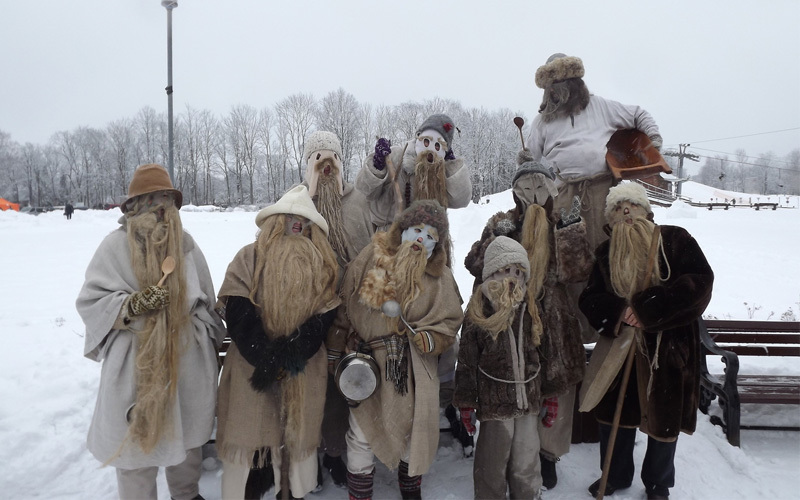 The residents still adhere to their pagan rituals because the pagan tendencies have not left them completely. 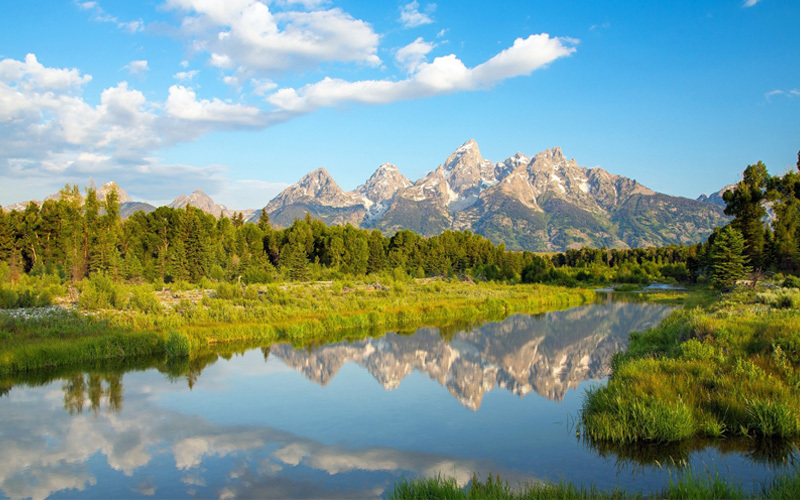 Many have surnames related to birds and trees and even animals. Latvia might be a small country but the people are quite large! The women are the tallest in the world with the average ones being around 170 cms. The country ranks fourth in the number of tall men. Since the people are large, the country has also accommodated enough space for them. 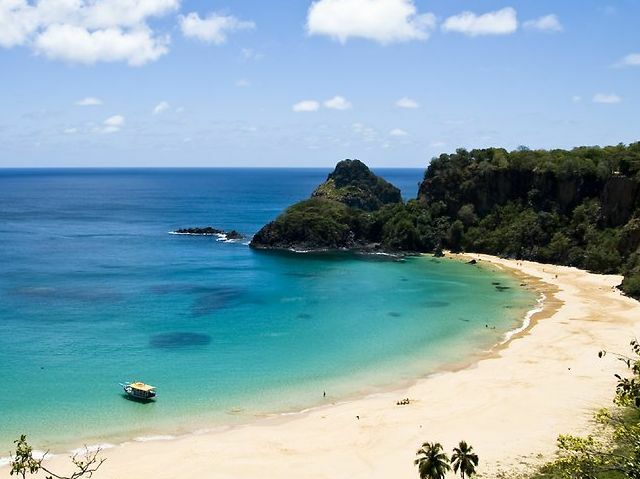 It has wide, pristine beaches of white sand that offer ample space, the sun and vast stretches of sand. More than half of the small country is covered in dark green forests and the people love to pick berries and mushrooms from there. It is also part of Latvian tradition for the young couples to look for the flowering fern which is a mythical thing. No one’s ever found it but they keep looking. 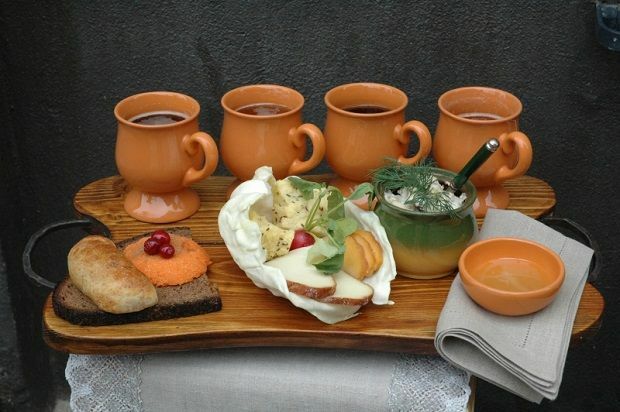 If you are into healthy food then Latvia is your destination. The locals are quite ingenious and find out interesting ingredients on their own like the juice of birch sap, berries, and mushrooms. 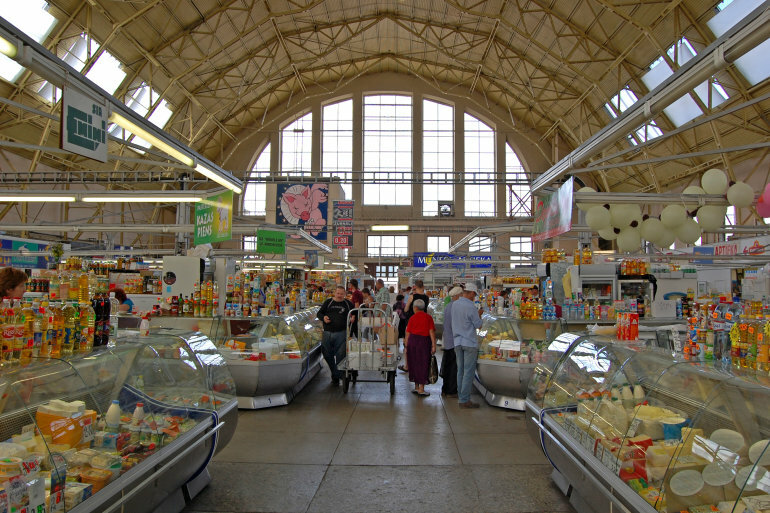 The country also has one of Europe’s biggest markets, the Riga Central Market. The place is known for its pavilions which are housed in the zeppelin hangers. The German army had left behind the hangers during the First World War. If you are visiting Latvia do spend a night in the jail. 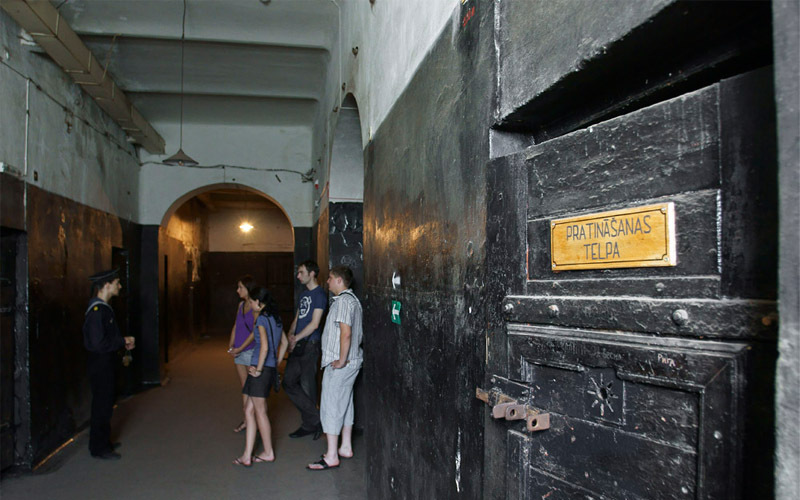 Located in the port city of Liepaja, the old army jail offers treatment in the Soviet-style and is a thing to remember. 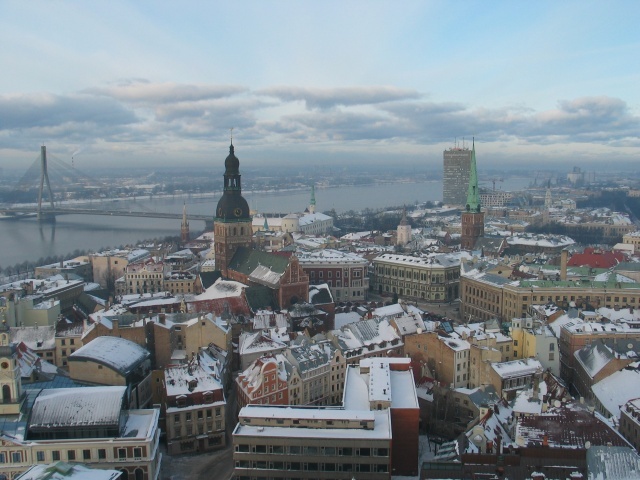 Latvia’s capital Riga is larger than the country’s population. Nearly one-third people live in Riga alone during weekdays, but head for the countryside for weekends where they have a cottage. 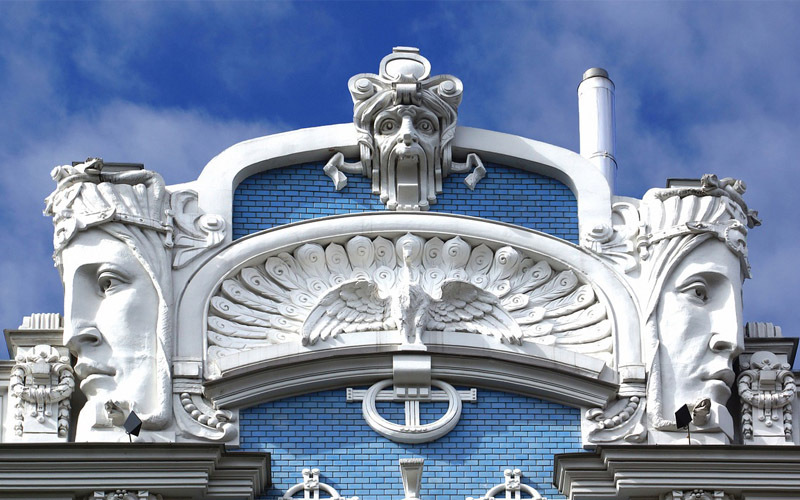 The Art Nouveau Style of buildings is much celebrated here and the country is one of the largest galleries of this art in the world. It has 800 buildings built in this style. The street called Alberta iela is mostly created by Mikhail Eisenstein who is one of the greatest creators of this style. 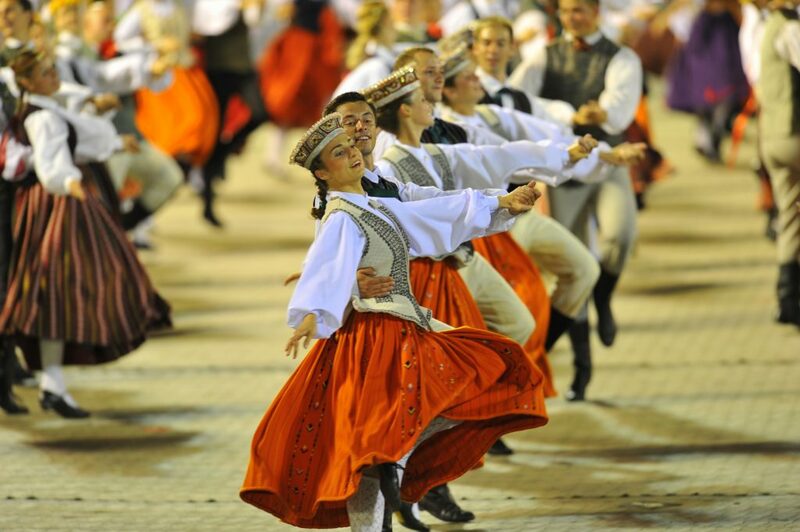 Latvians love to sing and have more than a million folk songs. The Song Festival is much celebrated here and you can find almost 10,000 people onstage singing the same song. Opera stars like Egils Siliņš, Elīna Garanča, Inese Galante, and Aleksandrs Antoņenko attend the occasion to entertain the residents. Internet users will find Latvia to be their favourite because it has the world fourth fastest connections. 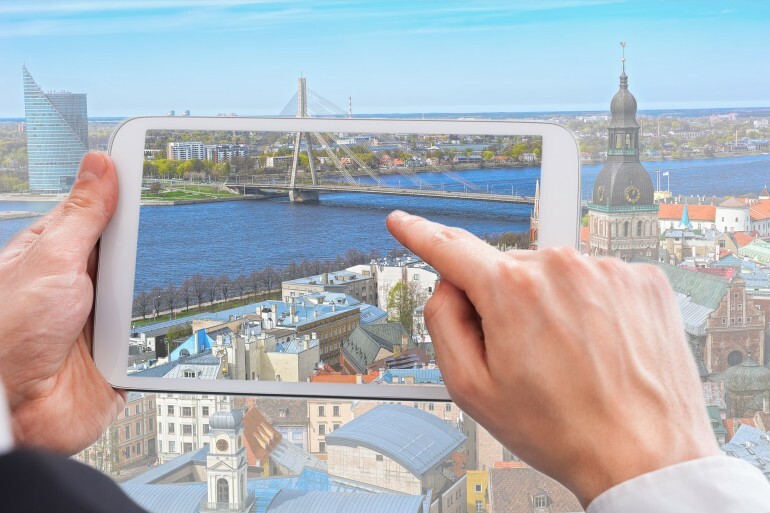 Riga has more than 800 connection points which are free to the people. In 2012, the country made a record for the longest phone conversation which lasted for 54hours and 4 minutes. Love wearing jeans? Next time say thanks to Jacob Davis, a Latvian who invented denim in Nevada’s Reno in 1871. He got into a partnership with Levi Strauss and became rich! 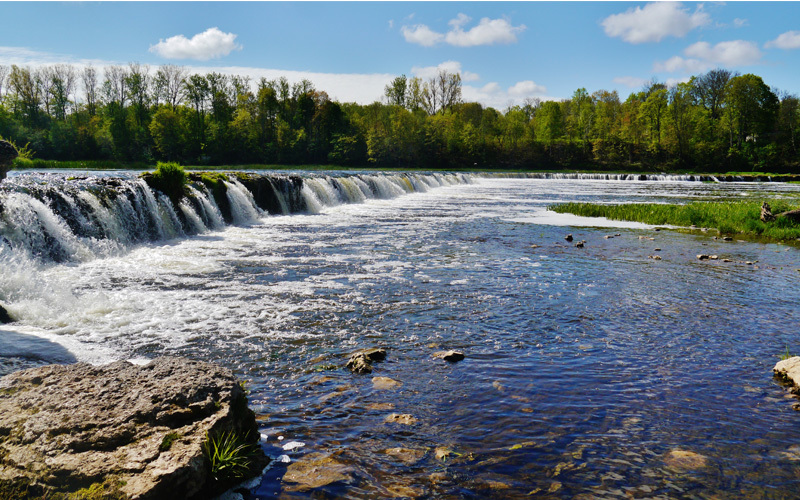 Europe’s widest waterfall, the Ventas Rumba, is located here in Kuldiga. During Spring, when it is spawning season for the fish, you can actually see them jumping above the rapids and moving towards the spawning sites. 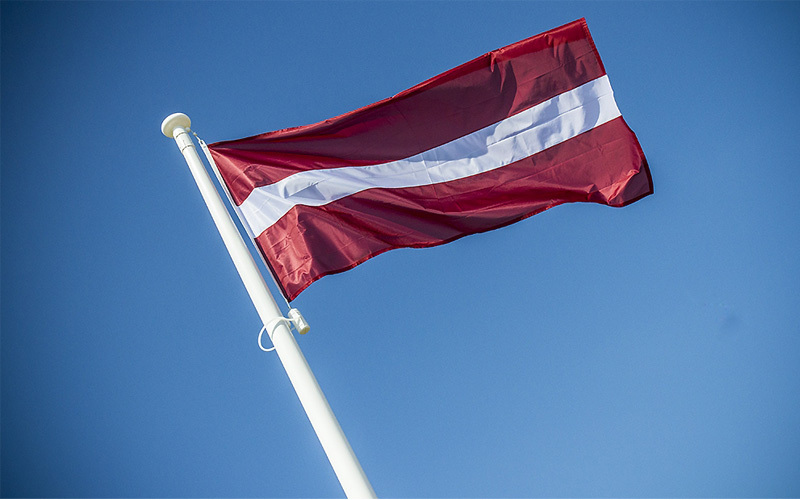 The Latvian flag design is among the world’s oldest, except for Denmark, and has been around since 1280.